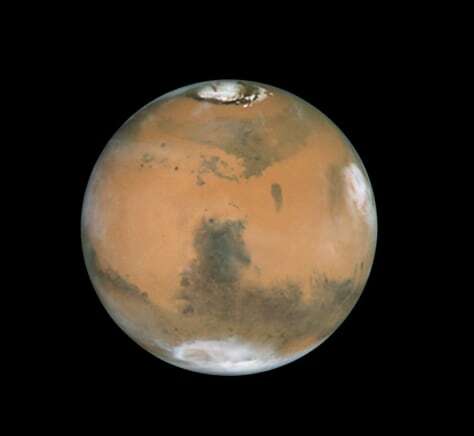 This photo, taken by the Hubble Space Telescope in 1999, shows Mars from a distance of 54 million miles. The 2007 close encounter will bring the Red Planet within 55.3 million miles, almost as close. In comparison, Mars was just 35 million miles away during 2003’s historic close encounter.